Jake Reed started playing cricket as an 11-year-old in the backyard in Red Cliffs, Northern Victoria, with his cousins and didn’t play competitive cricket until 13. 14 years later he is on the verge of a regular place in Victoria’s pace line-up. How did he get to that position? Jake was a keen footy player during winter and an opportunistic cricketer under Victoria’s harsh sun. Jake started to pursue his cricket at the Irymple Cricket Club in Mildura. Coach of Irymple, Brendan Payne, saw the talent in Jake and encouraged him to move away to Geelong where he improved his cricket under the coaching of Damian Shanahan. Jake said the move to Geelong was vital in terms of his cricketing development and his advice for any young cricketer in the country would be to move to the city and try to prove yourself by playing in the Premier League. Jake worked hard at his cricket and through consistent efforts and strong performances he earned a spot in the club 1st XI. 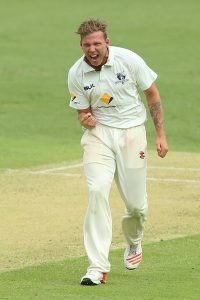 He had a break out year, taking 50 wickets in a season and was then picked for the 3rd last Sheffield Shield game of the 2013/14 season at the Adelaide Oval. As a debutant, Jake was presented his baggy blue cap by Victorian great David Hussey. Jake was also welcomed into the squad by some of his heroes of Victorian cricket: Cameron White, Matthew Wade, Scott Boland and John Hastings. These guys were all very welcoming and made it easy for Jake to settle in to the team, despite it being daunting playing with some “superstars” that he had grown up watching on TV. Having only played 3 games in the last 3 seasons and 7 games in total, injuries have been Jake’s biggest obstacle. After 2 knee operations, a groin operation, a major shoulder reconstruction and other minor injuries that have kept him out for up to 8 weeks at a time, Jake is hoping now that he is 27 years old, he can reach his peak fitness and play more games for his state. 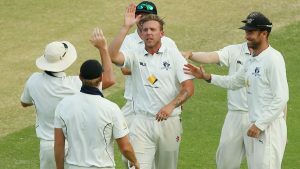 Jake also compared his setbacks as similar to those of tearaway quicks Pat Cummins and James “Patto” Pattinson. Jake says that “Patto is one of the fittest blokes I know and one of the hardest workers in the gym, and on the track, he’s an absolute beast of a human but he seems to break down”. Jake puts the injuries down to “a lot of years of playing cricket and it’s obviously a pretty strenuous sport on your body… we just have to keep fronting up to training, working hard and putting in the hours and hope that your body will come good at some stage”. Upon being asked about the structure of the domestic season, Jake is not sure whether “the One Day stuff is as important as what it maybe once used to be” and thinks maybe that’s why it’s “thrown in at the start of the season”. He loves the Shield but thinks that the block of Big Bash cricket in the holiday period is “really good for cricket” and ultimately the Shield final is “what we play cricket for”. A difference between playing in a Big Bash setup to a Sheffield Shield team is the fact that the Big Bash teams are flown in for 8 weeks at a time, whereas the Shield teams spend a lot more time during the season together and also have trained together during the winter and therefore have more comradery. In terms of training, it’s very similar except for the fact that “The batters want to try and hit it over the fence and the bowlers want to hit the chalk” but he says there’s still a purpose to each training and to work on your cricket no matter what format or team. 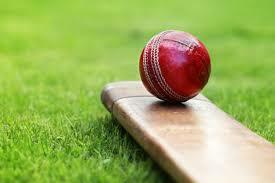 T20 cricket is something different for kids and families to come and enjoy 3 hours of cricket where there are big hits and stumps flying. It is easier to enjoy for non-cricket purists than for people who would prefer to sit and “watch the boys run around in creams for 5 days”. Jake accepts that the ever growing T20s is good for entertainment and for cricket but “doesn’t want to see it overtake test cricket just yet”. As we’ve seen the growth in domestic T20 cricket, the Sheffield Shield hasn’t been drawing the crowds as it once used to. At the change of formats, some of the domestic players will go from playing in front of 30-40,000 people at the Big Bash to playing at an empty MCG the week after. One positive, however, is that it’s “a lot easier on the nerves that’s for sure.” Jake recalls his second game of First-Class cricket, which was played at the MCG, in front of about 80 people, he has “never been so nervous in [his] life”. Just one week after that, on debut in the Big Bash, he played in front of 17,000 fans in Hobart. 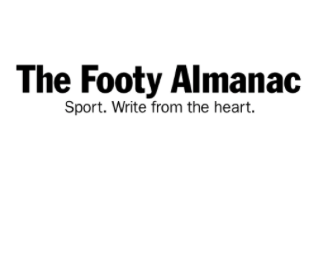 Something that has been a big talking point in recent times is the choice of players prioritising the shortest format in lucrative deals that would sign them millions of dollars for a 6-week period in another country rather than representing their country. Jake says that that choice is each to their own, but he wouldn’t like to see too many players doing it as it would ultimately drop the standard of domestic cricket. People like “Lynny”, who struggles with injuries, his body is suited to playing shorter games due to the durability of his body. On the other hand, there are older players, similar to the injured players, whose bodies can’t hold up in First-Class cricket and have turned to playing in T20 tournaments. This gives an incredible opportunity for younger players to learn off these experienced campaigners. Jake gave a hometown example of people like “Whitey”, Dan Christian and John “Hasto” Hastings. These guys provide excellent on field coaching for guys like Matt Short and give them examples of how to play at a high level with plenty of advice. At the moment, Jake is at a crossroad. He has one more year left on his contract, so this is his last season to “give it a good crack”. Jake will go to Darwin for 3-4 months during the winter to play before coming back for the domestic season. He hopes that in five years’ time, he will be able to look back and say that he’s given everything he’s got. Jake has looked into life after cricket, specifically into horticulture or agriculture and to stay connected with the Aboriginal community. The trip to Darwin will allow him to get a foot in the door while he’s there. Having grown up in Mildura, with a strong Aboriginal community, Jake would like to use his opportunities to the best that he can. Another great article Gill. Keep it up.